"I'm on my tiny private island on a limitless ocean... no one around me so I'm drowning in my deepest emotion"...and thus begins the latest mood piece from the galactic funk duo known as J*Davey. Rotating on pin-stabbing blips and beeps, "Strong Anticipation" plays mightily into the dark ambient R&B that members Miss Jack and Brook DeLeau have carefully curated since their breakout in 2007 with "Mr. Mister", but at a more expansive, crackling pace. It's five minutes of pure cosmic climbing soul, aided with just the right hint of the trippy quirk that made their previous material such a distinctive diversion from the pack almost a decade ago, that is now a current commodity for new kids on the block like FKA twigs and Kelela to possess. In a way, the title for "Strong Anticipation" is the LA duo pressing their tongues firmly to their cheeks, as the anticipation was definitely strong among fans when the duo took a break to experience motherhood (Miss Jack) and take tours with Miguel (Brook), making considerable gaps of time between their last full effort, 2011's New Designer Drug seem torturous. The spell of absence was broken when the Rookie EP dropped, and tracks like the thrashing, "Love? Yeah!" and "Deadly" made appearances last year. 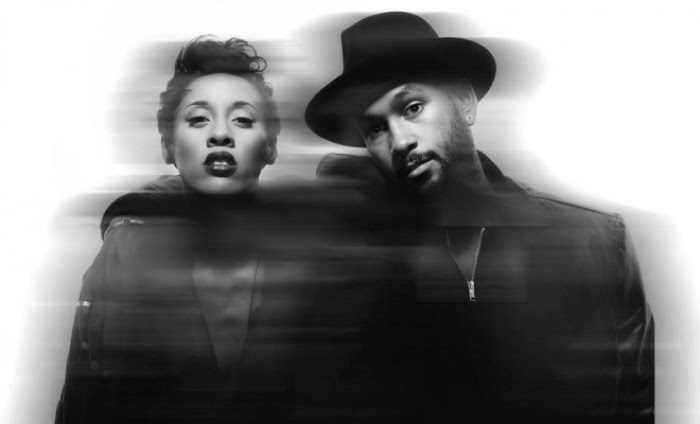 Now it looks like J*Davey are trying not to remain strangers for too long this time 'round, as new material and a new EP entitled, Pomp, are on the way. Yaasss!